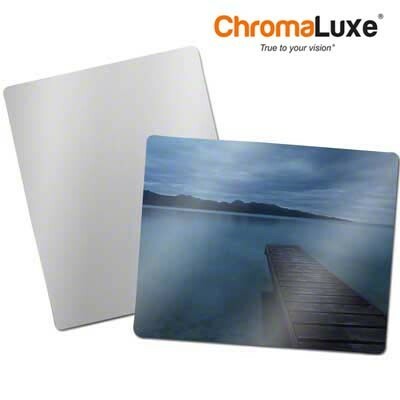 ChromaLuxe™ Clear Gloss Aluminum Photo Panel, 8" x 10" x .045" with Rounded Corners. 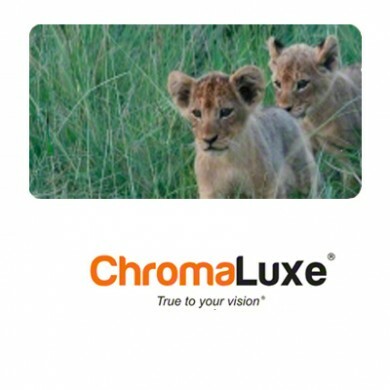 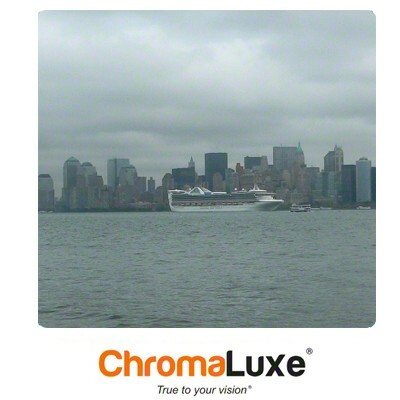 ChromaLuxe is the world’s leading brand manufacturer of high definition sublimatable photo panels. 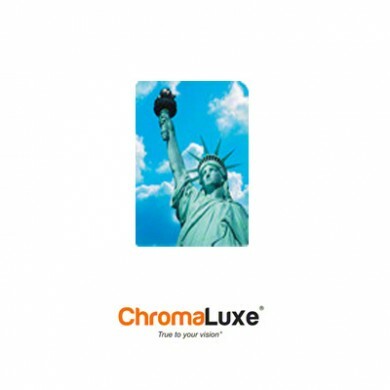 Through dye sublimation, images are infused directly into specially coated sheets of metal, wood and table top panels that turn any image into vibrant wall décor! 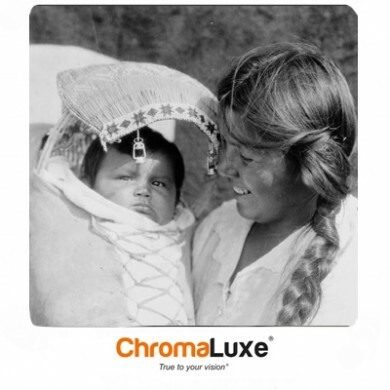 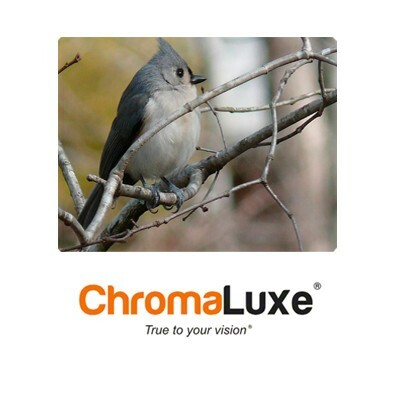 ChromaLuxe is manufactured in Louisville, Kentucky and exports products worldwide. 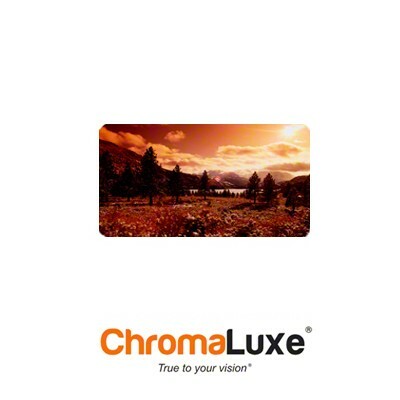 ChromaLuxe is part of the Universal Woods family, the world’s leading manufacturer of hard surface sublimatable products. 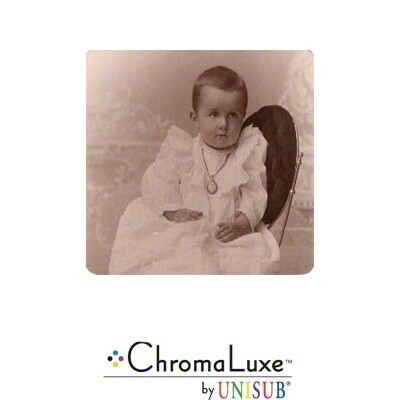 And is a sister company to Unisub, which provides sublimatable photo gift and wide-format products. 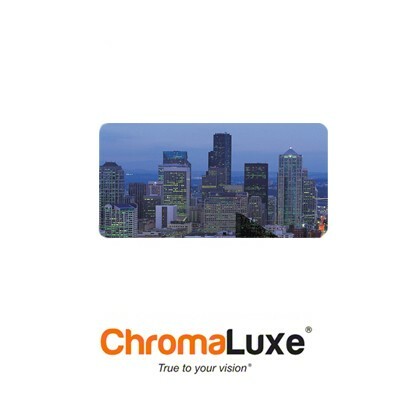 ChromaLuxe™ Clear Gloss Aluminum Photo Panel, 8" x 10" x .045" with Rounded Corners. 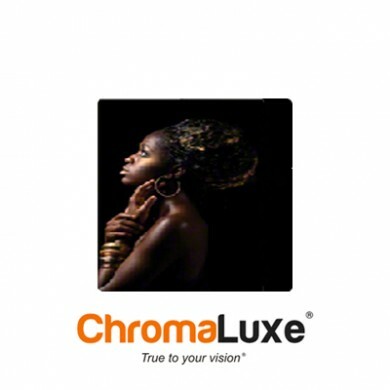 Thick coatings make this an excellent and rich looking presentation for your clients photos. 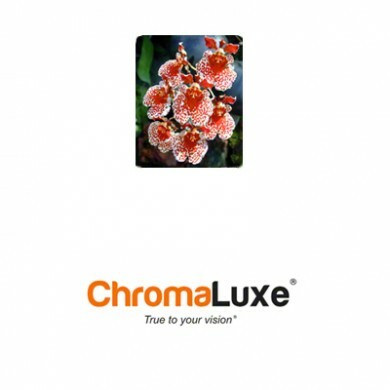 This item is stocked in our Mobile Warehouse. 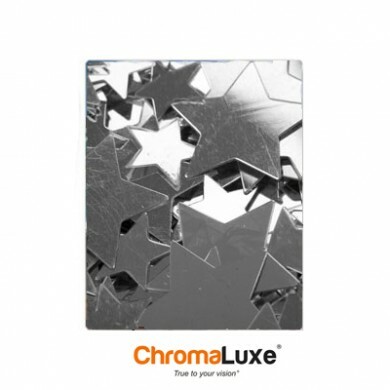 This item may also ship from our West Coast Warehouse in multiples of 10.